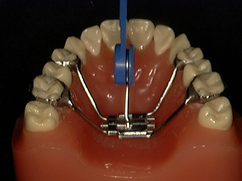 Dr. Tajaddod has personally treated more than 3,000 patients with Palatal Expanders! 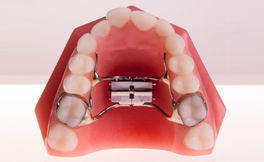 This special appliance, attached with bands or bonds, widens the roof of your mouth by gently separating the upper arch in the center of your plate. 2. Push the key gently and steadily from the front, towards the back of your mouth. DO NOT BACK UP. Remove the key towards the throat. Pushing the key as far as possible brings forward a new Keyhole position. Now you're ready for your next activation.